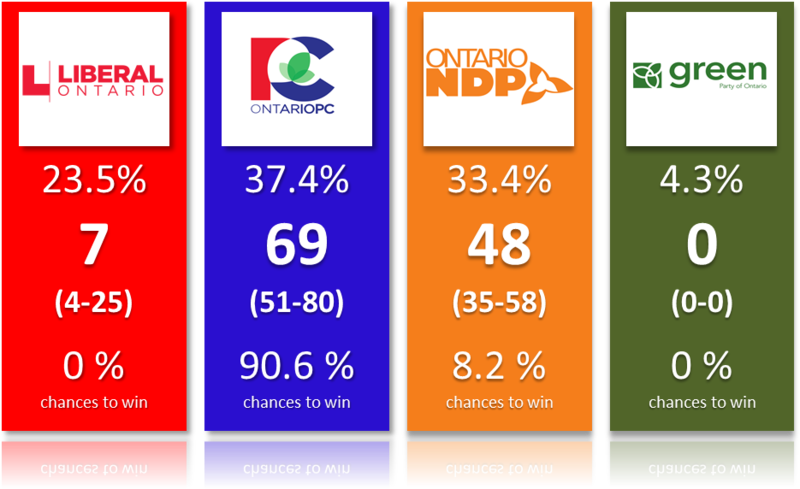 I already posted a long article about the general accuracy of Canadian polls here, I strongly suggest you give it a read. 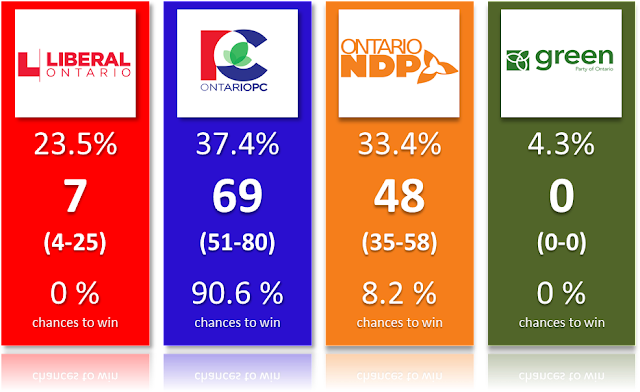 Since I know other polls will come today (Léger for instance), I just updated my projections using yesterday's Mainstreet tracker as well as the new Pollara poll (for which we have very little information). So here it is folks, just the number, no much blah blah. 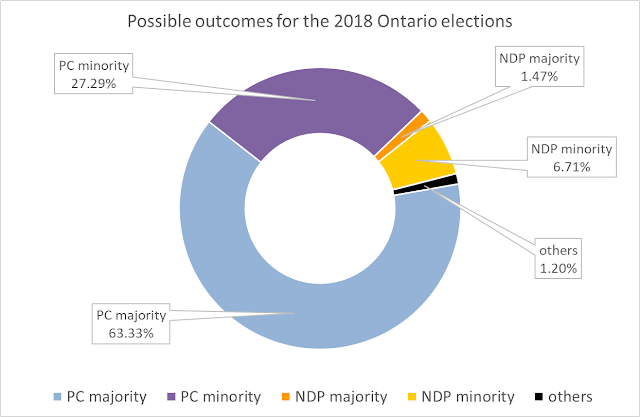 Finally the detailed projections. Have a nice day everyone!